I've been attending the Nationals since 2004 and the Eastern Opens/Regionals every year but the first at Sunday River. 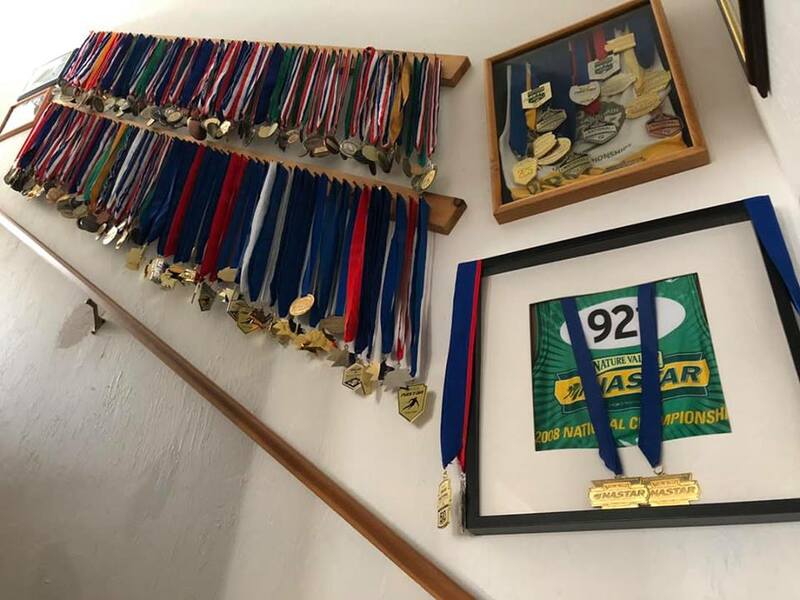 At Windham Mountain on Sunday I hit a milestone with a total accumulation of 50 medals (30 from Regionals and 20 from Nationals). Team and slalom events were included. There's definitely an advantage to competing as both a skier and boarder! I saw the stair well last night. Pat deserves them he skis and snowboards very well. Hunter my son and I spent yesterday chasing Pat on his snowboard, that was one great workout.